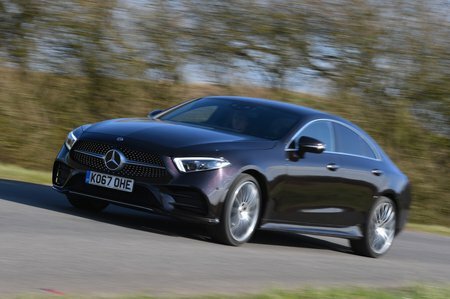 Mercedes CLS CLS 400d 4Matic 9G-Tronic Review and Deals 2019 | What Car? This uses the same 2.9-litre straight-six engine as the 350d but with power boosted to 335bhp – and it’s a belter. In fact, it’s one of the best diesel engines currently on sale; not simply because performance is mighty – delivering effortless pace with just a tickle of the accelerator that turns ballistic when you hoof it – but also because the engine revs keenly and stays pleasantly smooth all the way to its limiter. The standard nine-speed auto gearbox is smooth and responsive, too.